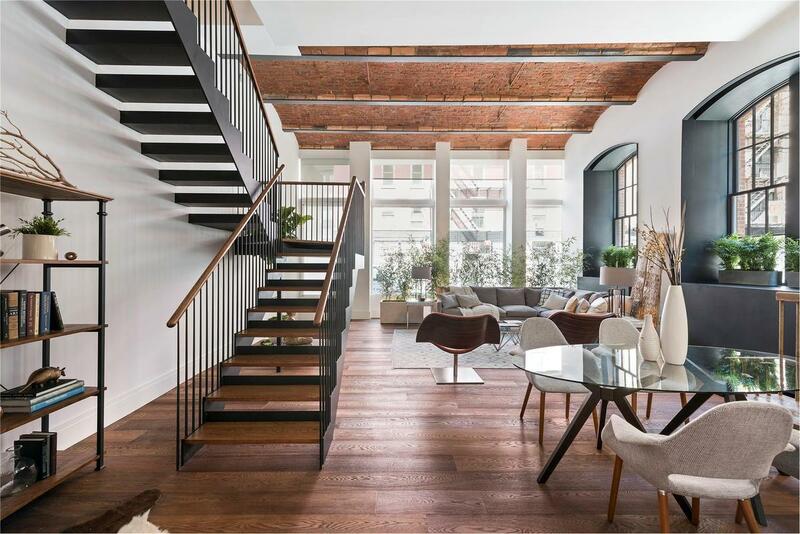 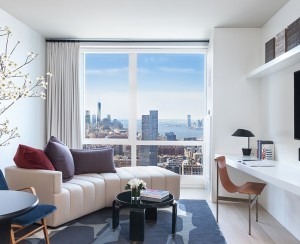 Be the very first to settle into this residence at the Schumacher, a former Noho printing factory that has been recently converted into a boutique condominium residence. 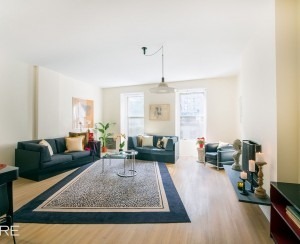 This duplex is one of the property's four "mansions" (read: a maisonette), and while that means it occupies the ground and second floors, it also has townhouse-like space and privacy. 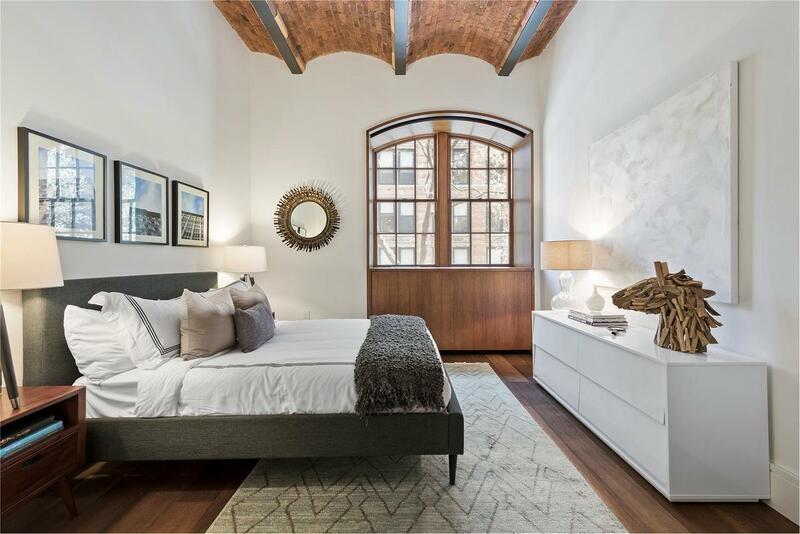 Listed at Douglas Elliman for $8.75 million, the three-bedroom faces bustling Bleecker Street, the better to view the neighborhood's ongoing development boom. 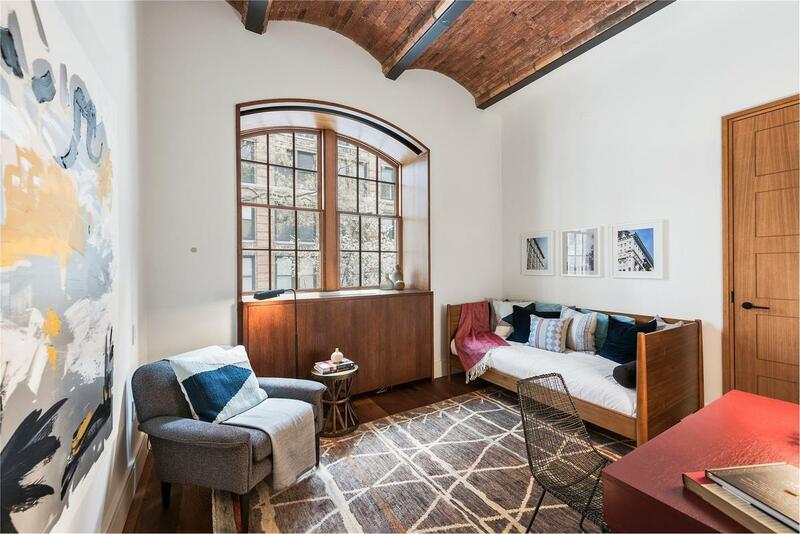 The apartment's private street-level entrance leads into the open plan living and dining rooms where the millwork is a highlight: Note the custom wood-framed windows and barrel-vaulted, brick ceilings. 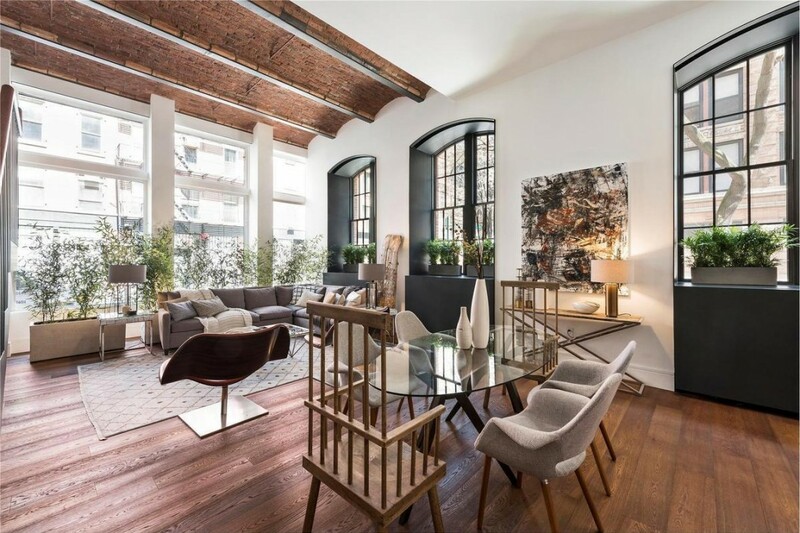 At 15 feet, they evoke the space's workshop roots, while allowing for the tall, north-facing windows to let in lots of light. 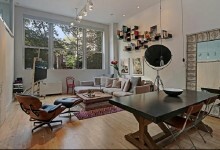 The kitchen, tucked into an alcove adjacent to the living and dining rooms, also gets abundant natural light. 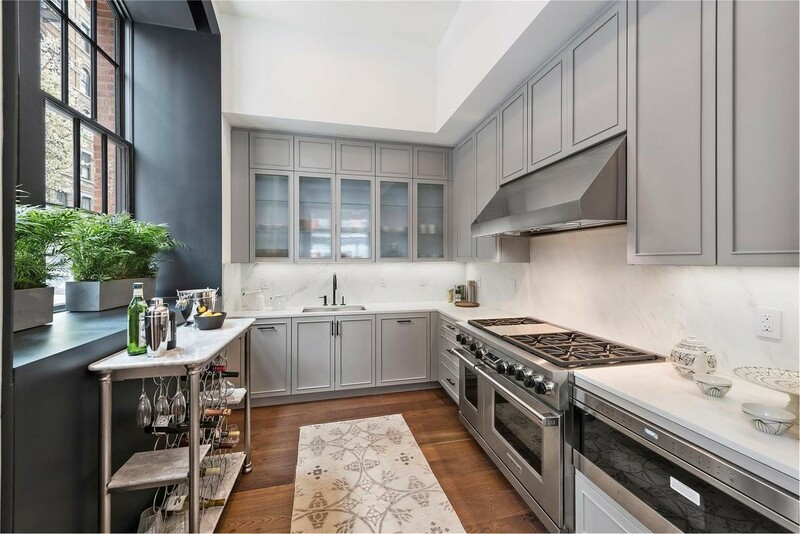 The space offers the upscale appliances you'd expect at this price point, plus generous storage space, glassed-in cabinetry, and a subtle marble backsplash. 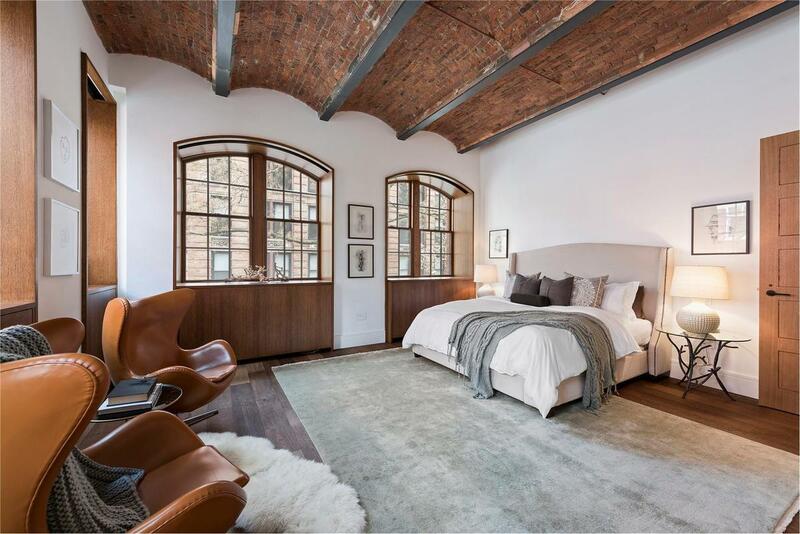 On the second floor, the interplay of wood and brick gives the corner master bedroom a cozy, rustic-chic atmosphere. 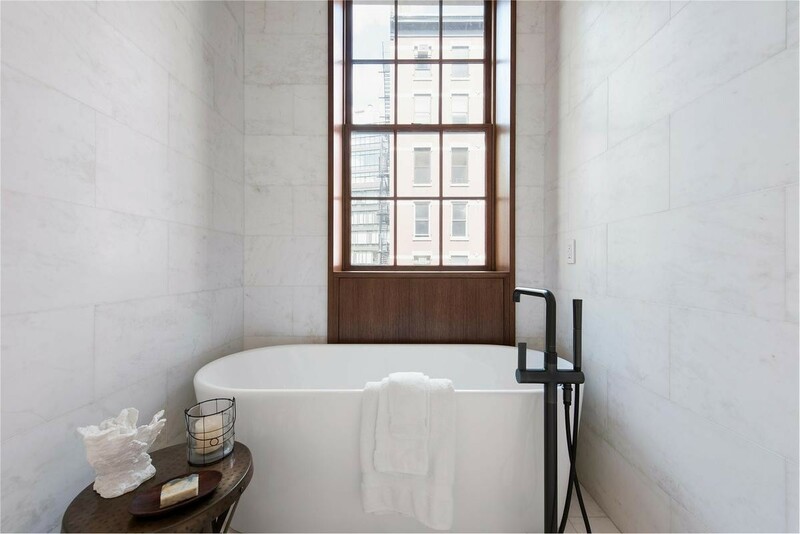 A walk-in closet and dressing area lead to the luxe en-suite bath, which includes double sinks, a walk-in shower with marble tiling, and a separate, deep tub with its own window through which to contemplate the view while you soak. 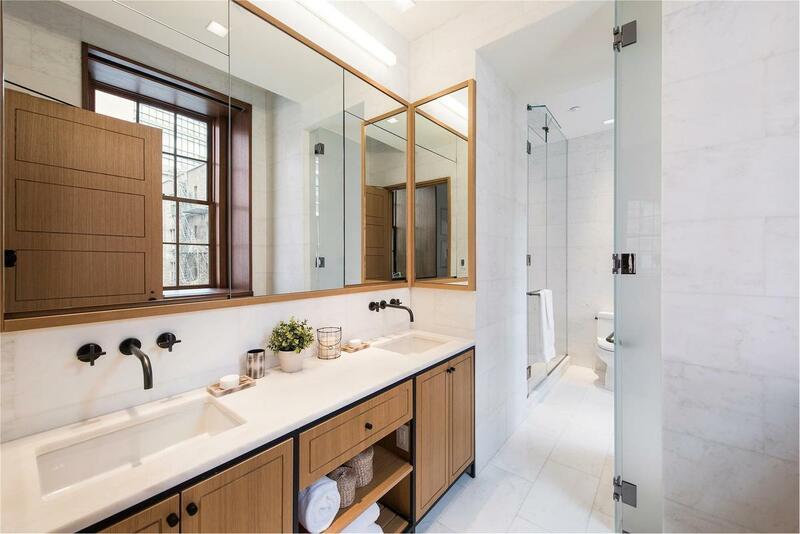 Two additional bedrooms—the smaller of which you might prefer to use as an office instead—share another bathroom; across the hall you'll find a laundry room with a washer and dryer. 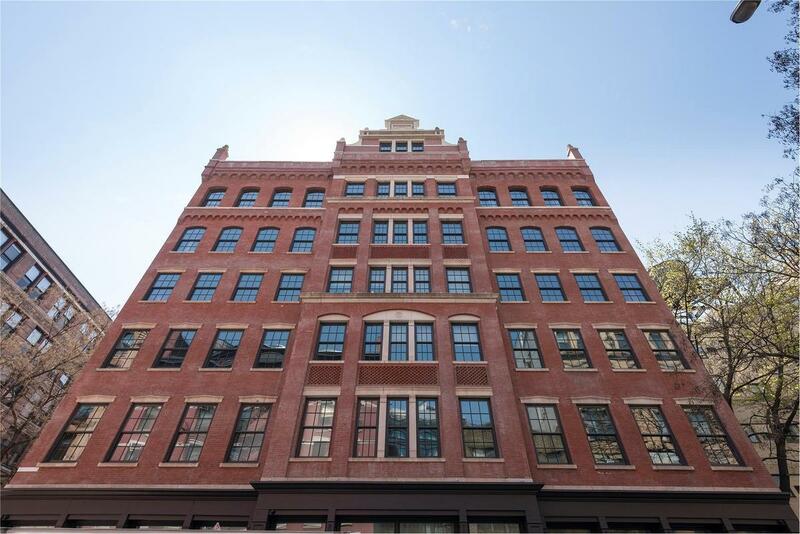 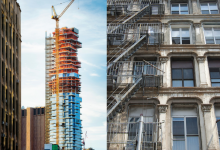 The condo's facade is as eye-catching as its interiors, and is topped by a pediment from the building's original design, which was restored by the architectural team. 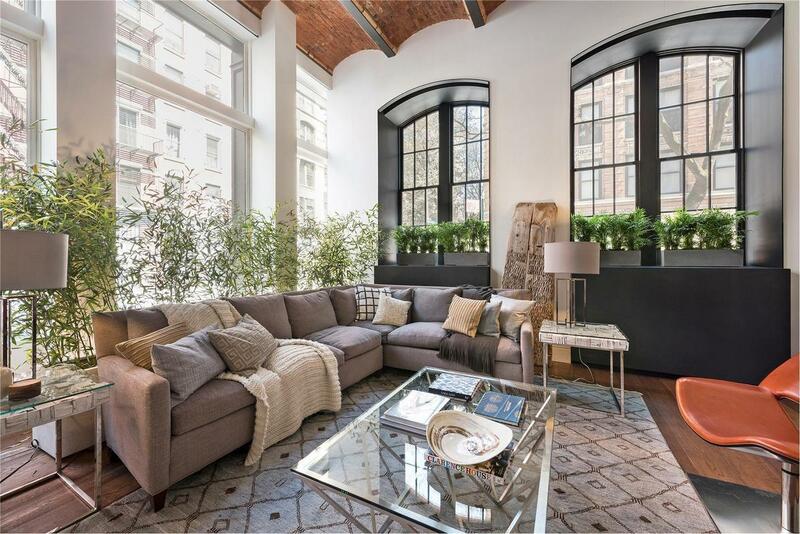 Amenities include a 24-hour doorman, gym, children's playroom, and gardens both at the ground level and on the rooftop—all of which may help explain the posh asking price.